Magee was the son of missionary parents. In 1939 he went to the States and enrolled at Yale on scholarship. 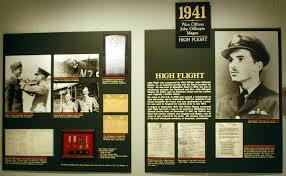 He became a pilot with the Royal Canadian Airforce in 1941 which is when he wrote High Flight. He died when his Spitfire collided with another plane over England. He is buried in Scopwick (Lincolnshire) in the UK.